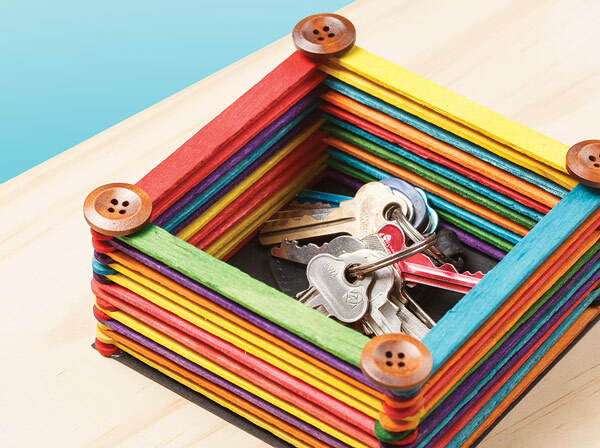 Using basic construction skills, you can easily create this fun storage box for Dad to store all his small stuff! Use Supertac to glue four Popsticks together to form a square. Glue this to a sheet of black cover paper and cut off the excess around the edges. Keep building up the Popsticks, working your way around the square. 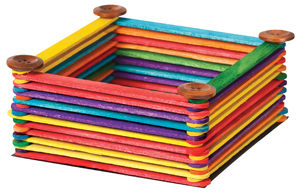 Once you are satisfied with the height of the box, decorate with four wooden buttons on each corner.